Over the years, I have noticed that some of the more "unique" items slowly began to disappear and/or were eliminated altogether from the inventory. They were definitely unique and served a purpose "in the day." Some of us "old timers" may remember some of these. 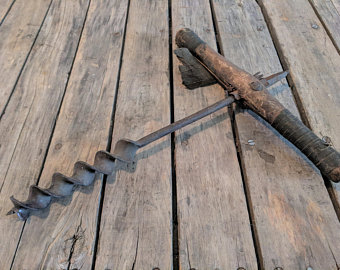 The floor auger I remember has a wider corkscrew on it. The philosophy was to be able to drain the water faster if there was a larger diameter hole. Great for draining water in homes with wood floors. This still may be carried on trucks today. We did not use it that often, but when the application was right for its use, it worked magnificently. The link above is a great picture showing both the floor auger and the metal roof opener. Ours did not look exactly like this one. However, by the shape of it, you can get the general idea of how it works. It almost resembles a big sardine can-opener on steroids. 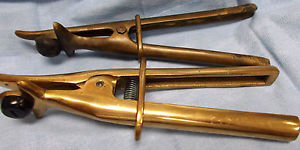 What I really liked about these brass tongs was how the design of them was almost "stylized." These may also be lingering around in some compartment somewhere on a fire truck. Even though the one I remember was not exactly like this one, it was similar in design and principle. 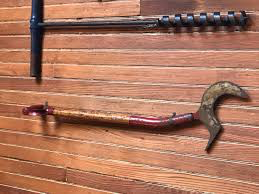 A grappling hook could be shot to a distant target deploying a rope as it went. I’ve never have seen it used, and there’s not much application for it. It would definitely be risky; however, it presents a good use for unique situations. 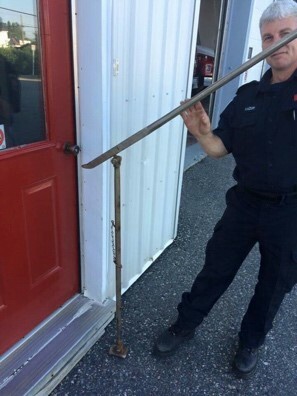 When I was at the drill/fire college, we were taught to use this piece of equipment. Plus, we all had to jump into it while my fellow recruits held it. The object was not to move sideways (thereby making any holders have to walk sideways or backwards), but to move in a circular pattern to line up with the jumper. The height limitation for jumping out of a window was about the third floor. Nowadays, we use low pressure airbags like those used by professional stunt people. This type of ladder still may be used today. They were designed to reach fourth- and fifth-story windows. It is an excellent skills ladder for doing drills to develop coordination, commands and teamwork. These ladders are quite heavy. Six people are needed to put this behemoth into operation. The firefighter to the right in this picture link is holding the "tormentor" poles. They are used to help raise the ladder and also act as support legs once placed in a window or against a building. This may still be used today by some fire departments. They are used for tight alleyways where a regular ground ladder or ladder truck cannot fit. 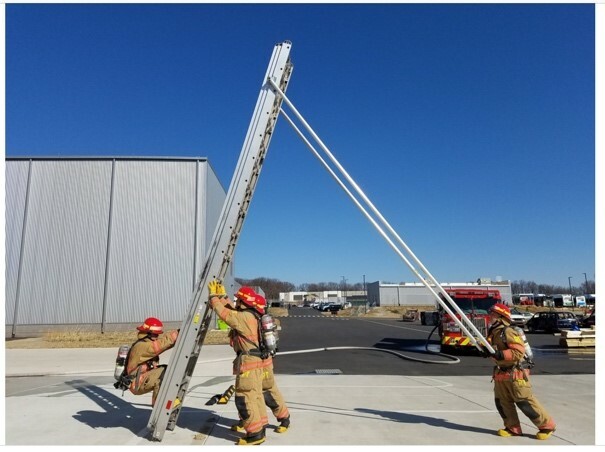 Once again, this is a great confidence builder for firefighters in training that requires getting used to heights, muscle ability and coordination skills. 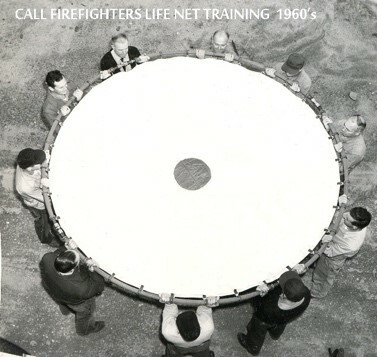 Like anything about the fire service, there is always a sense of great tradition. Technology, in comparison to other careers, does not advance that much. Many great resources have become available recently due to advances in electronics. However, some of the old methods, tools and equipment can still be utilized. As mentioned above, they are great resources for training. They also add a piece of historical pride and uniqueness for the trade. Don’t let them fade away, and keep them alive by allowing others to see and experience these useful items.